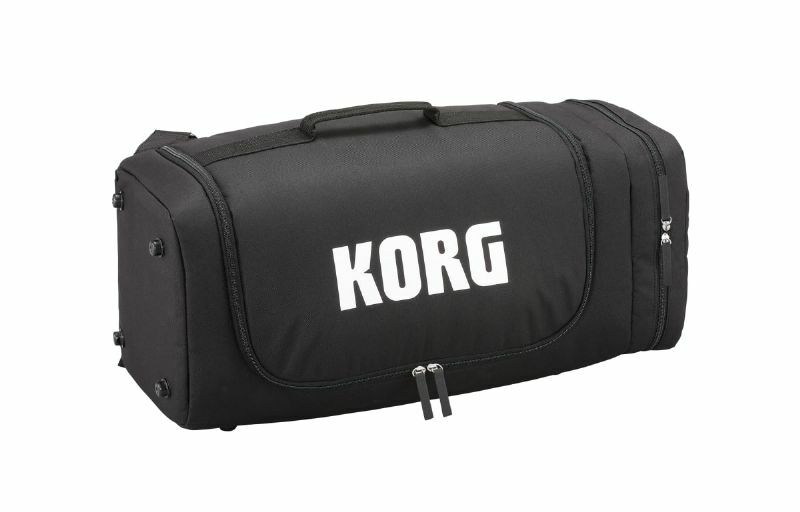 A dedicated soft case for the KONNECT A dedicated soft case designed to let you easily carry the KONNECT. A large opening ensures that you can easily get the instrument into or out of the case. The straps allow one-handed carrying or carrying on both shoulders (the straps are padded, and their length is adjustable), and a suitcase handle attachment (with adjustable length) is also provided, allowing a variety of uses. A side pocket provides convenient storage for an AC adapter or cables. Feet are provided to protect not only the bottom surface when placed horizontally, but also when placed vertically. Dimensions (H x D x H) 530 mm x 290 mm x 245 mm/20.87" x 11.42" x 9.65"